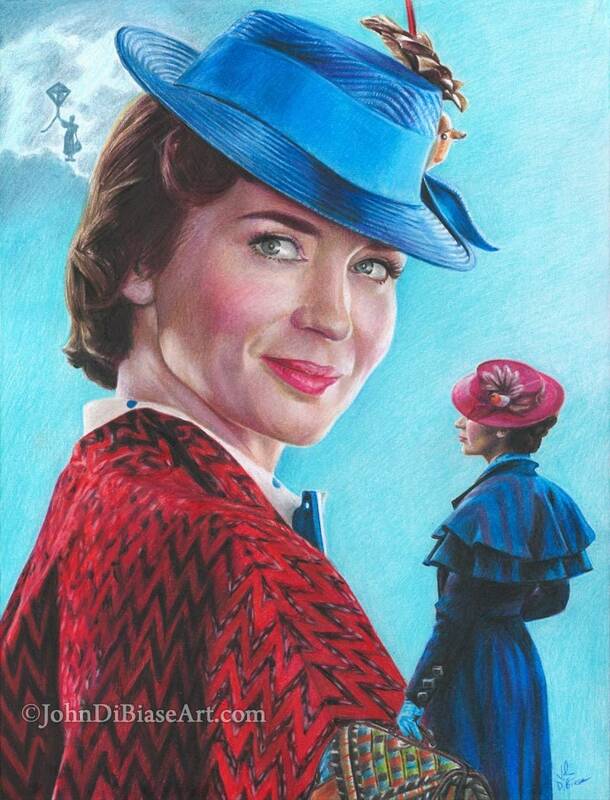 Colored Pencil Drawing Print of Emily Blunt as Mary Poppins in "Mary Poppins Returns"
This is a HQ print of an original colored pencil drawing I made of Emily Blunt as Mary Poppins in Mary Poppins Returns. 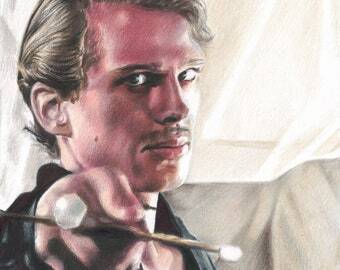 It was made with a combination of regular pencils and colored pencils. 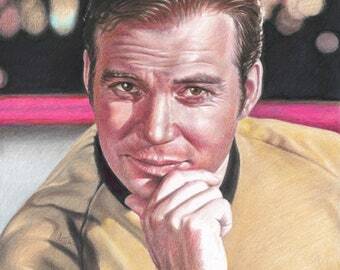 Drawing print will be hand-signed and can even dedicated to a specific name upon request. The artwork fits in an 8.5 x 11 space with a small white border around it. The moment I saw this in the shop was the same moment I made up my mind to buy it. I absolutely love the detail and the intricate craftsmanship! If Mary Poppins herself could see this, she would be just as speechless as I am when I look at it. This is going up next to my bookshelf where it belongs. The size is perfection and the 'freebies' John threw in made me smile. WILL be buying more in the future for myself and for gifts. Don't hesitate ya'll... buy the prints you like, for you WON'T be disappointed! 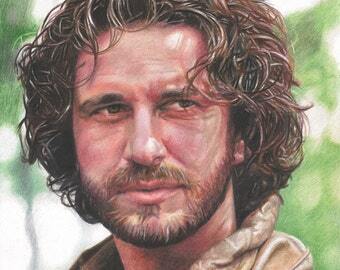 Colored Pencil Drawing Print of Gerard Butler as Marek in the movie "Timeline"